DETAILS: As part of Portland Wine Week’s Women Winemakers Track, Central Provisions will feature a wine list dedicated to some of their favorite Women Winemakers from around the world. Mark your calendars and come out for this first ever offering of it’s kind in Portland by enjoying this list by the glass or by the bottle in the downstairs bar or the upstairs restaurant. Reserve: No reservations -- just come! DETAILS: The restaurants of the Big Tree Hospitality group, Hugo's, Eventide Oyster Co. and The Honey Paw will all be featuring wines from Hermann J. Wiemer for Portland Wine Week. Hermann J. Wiemer is regarded as one of the pioneers of viticulture and winemaking in the Finger Lakes region of New York. As a native of Bernkastel, Germany who emigrated to the Finger Lakes in the 1960s, Hermann J. Wiemer was uniquely qualified to help establish and create a wine region now known for its Riesling identity. His mother’s family had been making wine in Germany’s Mosel Valley for more than 300 years. His father, a skilled nurseryman, had been in charge of the Agricultural Experiment Station in Bernkastel and was responsible for restoring vines in the Mosel region after WWII. As a result, he recognized the importance of grafting vinifera on American rootstock. Ultimately, this conviction led Hermann’s father to convince Dr. Thanisch – who maintained the most famous Riesling vineyard in the world – to graft Mosel Rieslings onto American rootstock. Hermann spent the summers of his youth learning to graft by hand and later complemented the skill and knowledge passed from father to son by attending Germany’s premier winemaking and viticultural institutions. However, it wasn’t until his experience in the Pfalz at the Viticultural Research institute in Neustadt(Forschungsinstitut fur Reblausbekampfung und Wiederaufbau der LLFA Neustadt) that Hermann was finally able to put his life experiences and education to practice. This practical training and research institute, headed by the influential Dr. Helmut Becker, only accepted three admissions per year, and Hermann was one of them. All he needed was the right place to apply his skill and passion from wine-making at the highest levels. In the little town of Dundee, on the western shore of Seneca Lake, he found it. Hermann discovered that the cool climate and gravelly soils of the Finger Lakes were similar to his family’s vineyards in the Mosel Valley. At a time when very few thought it was possible to grow vinifera varietals on Seneca Lake, Hermann believed that the unique soil types and moderating weather effects of the Finger Lakes would make it possible to produce great wines here. German folk wisdom held that Riesling grapevines would flourish where black cherry trees thrived. Subsequently, Hermann purchased 80 acres of land on which we now have the winery and the “HJW Vineyard”. Countless hours, an uncanny skill at grafting, and willingness to experiment to find the best clones of each varietal for the region helped Hermann establish the vineyard. An obsessive dedication to making the most authentic and elegant wine has slowly and increasingly caught the attention of the world’s most discerning wine critics. DETAILS: Select reserve wines (1/2 glass pours) to be paired with Chef's special tapas nightly, every night of Portland Wine Week starting at 5:30 PM. DETAILS: The Shop, Island Creek Oysters’ sunny spot on Washington Avenue offers a weeklong Portland Wine Week deal. 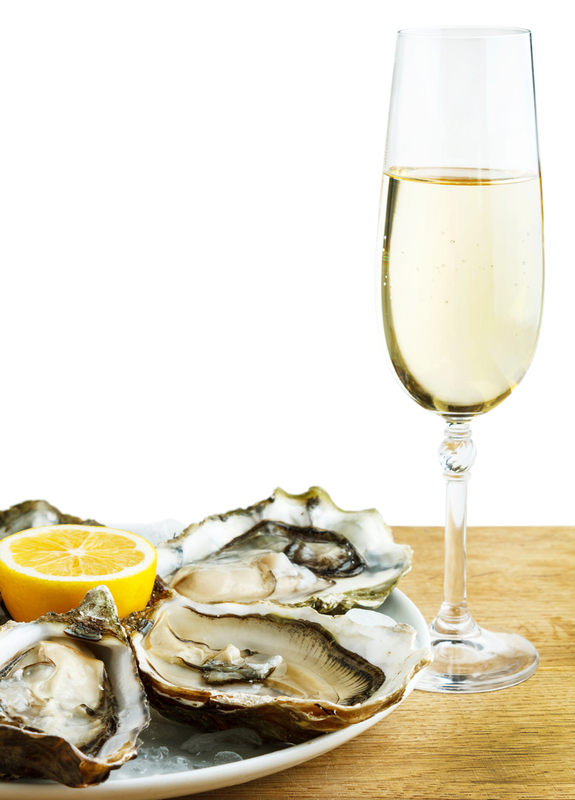 From Tuesday through Sunday (6/18-6/23) The Shop will feature a different oyster each day with a glass of sparkling wine. Just $15 for a half-dozen (6) oysters and a perfectly paired glass of bubbles.